VoodooDreams Casino was launched during 2016 and quickly earned a reputation of being a unique addition the online casino community. With a great design, interesting theme and an top-quality game collection, VoodooDreams Casino has become a prime destination for players all over the world. The game platform includes the best games from vendors such as Netent, Quickspin, Play’n GO, Yggdrasil, Scientific Games, Betsoft and NYX to name few. As a player, you can enjoy playing hundreds of online video slots, jackpot games, table/card games, video poker games and live dealer games. VoodooDreams’ website has a funky design in turquoise and black. It’s supported on all devices and works equally well on desk/laptops, mobiles and tablets. The navigation is very straight forward and easy so there are no problems in locating any games or information. The game portfolio is filtered by game types (video slots, jackpots etc), new games and top picks. There is also a search function where you easily can enter the game title and locate the game immediately. VoodooDreams Casino is available in English, Finnish, German, Norwegian and Swedish. The customer service is available 24 hours a day and they can be reached by live chat (must be logged in) or by e-mail. VoodooDreams also have a few very interesting features such as duels where you play a certain game against an opponent and casting spells where you can get free bonuses for earned spirit points. VoodooDreams Casino is owned and operated by SuprPlay Limited which is a company registered in Malta. They are licensed and regulated by the Malta Gaming Authority and the UK Gambling Commission. VoodooDreams Casino meets the highest standards of player safety, fairness and responsible gaming. VoodooDreams Casino: Sign up and get 20 No Deposit Spins in selected slots! VoodooDreams Casino welcome new members with 20 spins upon a successful account registration – no deposit required! The spins are available in three different slots; Starburst, Joker Pro or Wild Wild West. All you have to do is to open any of these games and enjoy your welcome gift for free. Any winnings from the no deposit spins are subject to a wagering requirement of x40. 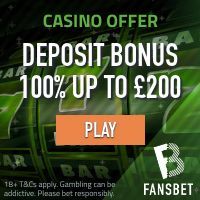 CLICK HERE AND JOIN VOODOODREAMS CASINO AND COLLECT YOUR 20 NO DEPOSIT SPINS! Get a £/€/$1,000 Welcome Bonus Package + 180 Spins in Starburst! As a members of VoodooDreams you can be sure that you will receive a lot of player promotions from time to time. These promotions can be free spins in new video slots, re-load bonuses and other things like holiday specials and much more. VoodooDreams Casino also have a very beneficial loyalty program which will allow loyal players to receive extra bonus rewards once a certain level of points has been earned. Make sure to keep an eye on your phone and your email inbox for the extra bonus promotions. VoodooDreams Casino offer a full-proof payment platform which is secured by the most sophisticated encryption technology available. All major payment methods are accepted including credit/debit cards, e-wallets (Neteller/Moneybookers Skrill), direct bank transfer and several regional methods that may vary from one country to another such as the Swedish Bank ID that allows Swedish players to sin up and deposit by simply using their Bank ID. VoodooDreams Casino offer an outstanding collection of online casino games where the larger part of the catalogue is online video slots. These are provided by an impressive list of game vendors such as NetEnt, Microgaming, Play’n GO, Yggdrasil, NYX Gaming, ELK Studios and many more. Some of the most popular video slots at VoodooDreams Casino are Viking Runecraft, Starburst, Hotline, Archangels Salvation, Fat Rabbit and Easter Island.